Our office is located 745 South Grant Street Palmyra, PA 17078. Dr. Adrian is trained as a family medical doctor in Family Medicine. As such, his training has covered adult, pediatrics, psychiatry and female health. While the office sees women for many GYN conditions, we do not do routine PAPs and pelvic exams. We see many Medicare age patients for care of their multiple medical problems using both conventional and alternative treatments; hence the term integrative medicine. Unlike many complementary doctors, Dr Adrian takes the time to educate the patient about their disease and make sure they are not 'in the dark.' Clear, detailed handwritten instructions and handouts are provided at each appointment. 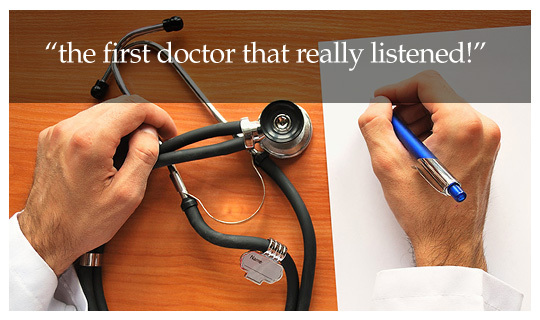 He hears frequently, that I am "the first doctor that really listened!" A popular reason to see Dr Adrian is 'Natural Hormone Replacement.' This is replacement with bioidentical hormones for women and men. This does not have the risks as conventional HRT in the opinion of experts he has trained under although the FDA considers all hormones equivalent. Dr Adrian does the hormone compounding himself for patients, thereby providing cost savings. Anti-aging medicine and Human Growth Hormone testing and treatments are available. Food Allergy, nutrient level, salivary hormone, mercury and heavy metal testing are available. All tests offered by Metametrix, Aeron, Great Smokies/Genova, Doctor's Data and other advanced laboratories are available. High quality professional grade supplements and nutraceuticals are available to promote gastrointestinal and bone health. Professional brands including Thorne Research, Vital Nutrients, Ortho Molecular, Douglas Labs, Designs for Health are in stock and are sought after by the informed patient. Our health coaching doctor services patients from the areas surrounding Harrisburg, Hershey, Annville, Chambersburg, Elizabethtown, Hummelstown, York, Lancaster, Palmyra and Reading, PA. Appointments are not necessary to buy natural health products and supplements.